Dont just watch it live it! WWE SmackDown vs. 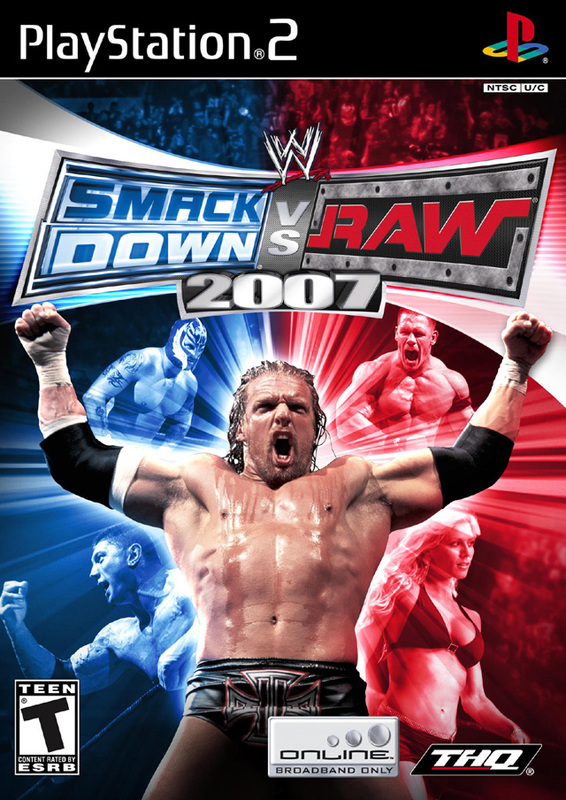 Raw 2007 brings the intensity of being a WWE Superstar to the next level by offering players unprecedented levels of choice and control. An enhanced Season Mode provides multiple branching storylines and unprecedented levels of player choice. In and out of the ring, dozens of user-controlled environmental hotspots let players take advantage of anything at their disposal to inflict damage on opponents in new and unique ways. The 1 wrestling franchise in the world delivers the next generation of WWE video games with key new features incredible graphics and engaging highly realistic WWE action in and beyond the ring. I remember playing this alot on the PSP, and now after 6 years, I get to play this again on console. Only thing keeping this from a perfect score is that I got the greatest hits version, buts that's just me nit picking. I love it. Revisiting the old games that I have worn out and can no longer is a return to the past excitement and memories of great times of the PS2.